The name "Ah Yat Abalone" has become synonymous with succulent abalones, not just locally, but in many locations worldwide. Definitely no newcomer to the dining scene in Singapore, it is the place to be at when you want to impress both your guests and their stomachs. Situated in central Singapore at Hotel Grand Pacific at Victoria Street, Ah Yat Abalone Forum Restaurant is an ideal and convenient location for your wedding banquet. Held at the hotel's Pacific Ballroom, it is able to host banquets up to 350 guests. Tantalising dishes prepared by our Hong Kong chef with 30 years of experience will definitely excite the taste buds of your guests. You and your guests will be dazzled by the exquisite delicacies and excellent quality abalones that will be served at your wedding, each an auspicious symbol of good fortune and everlasting happiness. 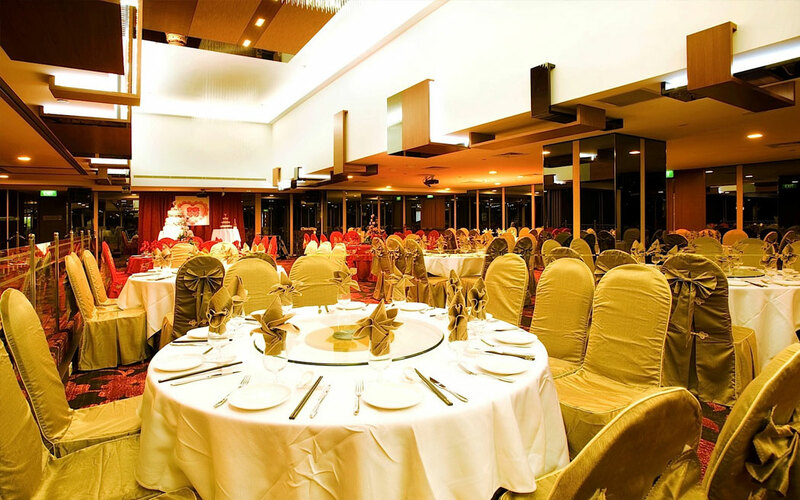 Whether you prefer a small, intimate gathering or an extravagant event, Ah Yat Abalone Forum Restaurant will be sure to make your wedding a memorable one.